(Durham, NC) – The Land Trust Accreditation Commission, an independent program of the Land Trust Alliance, has announced that the Eno River Association has been awarded renewed accredited status. 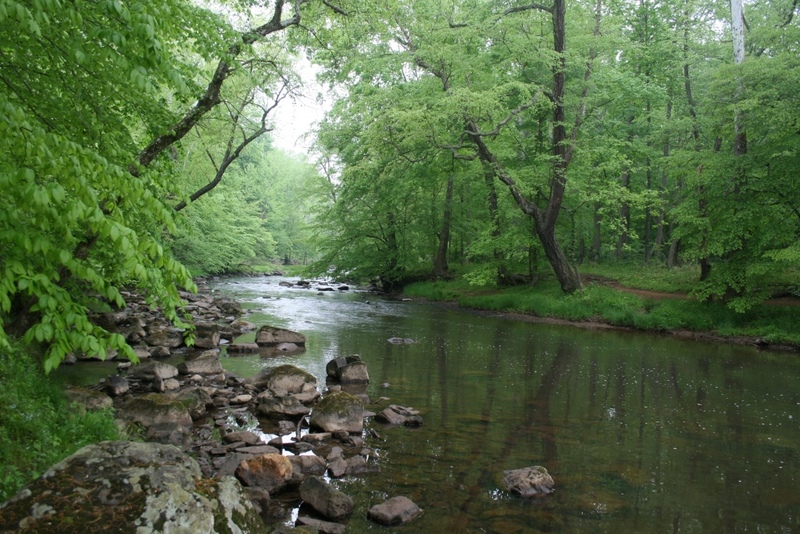 The Eno River Association was first accredited in August 2010. Founded in 1966 and celebrating its 50th anniversary this year, the Eno River Association was instrumental in the creation of the Eno River State Park in the early 1970s and continues to work actively to expand park holdings and preserve other important natural areas, stream buffers, farms, and forests in the Eno River Basin, permanently safeguarding these places from the threat of development. To date the Association’s efforts have resulted in over 7,000 acres of protected land in Durham and Orange counties. Conserving land helps ensure clean air and drinking water, food security, scenic landscapes, recreational places, and habitat for the diversity of life on earth. Strong, well-managed land trusts provide local communities with effective champions and caretakers of their critical land resources, helping to safeguard the land for future generations. This work takes on a new importance as we seek to mitigate the impacts of climate change. The Eno River Association is one of only 342 accredited land trusts among the 1,100 land trust members of the national Land Trust Alliance. In 2010 when it was initially accredited, the Association was one of the first 105 accredited land trusts in the country. Accredited land trusts are entitled to display a seal indicating to the public that they meet national standards for excellence, upholding the public trust, and ensuring that conservation efforts are permanent. The seal is a mark of distinction in land conservation. “We are proud to maintain our high standards and continue to display the accreditation seal,” said Barbara Driscoll, President of the Association. The Land Trust Accreditation Commission, based in Saratoga Springs, N.Y., awards the accreditation seal to community institutions that meet national quality standards for protecting important natural places and working lands forever. The Commission, an independent program of the Land Trust Alliance established in 2006, is governed by a volunteer board of diverse land conservation and nonprofit management experts from around the country. The Alliance, of which the Eno River Association is a member, is a national conservation group based in Washington, D.C. that works to save the places people love by strengthening conservation throughout America. More information on the accreditation program is available on the Commission’s website, www.landtrustaccreditation.org. More information on the Alliance is available at www.landtrustalliance.org. More information about the Eno River Association can be found at www.enoriver.org.